There is a bug in AD 1.5.1.43 (and probably earlier versions) in which when choosing the Pixel preview mode on the top toolbar the artboard background and bounds slides off by a large amount. This offset affects slices in the export persona as well. It makes it pretty much impossible to work on pixel-perfect images as the Export persona will offset the artboard randomly too. We are already ware of this bug. It affects both Windows and Mac versions and was already logged to be looked at. Small update: it seems like changing the zoom to the maximum and back fixes the issues some times. Also saving at a high zoom level and opening it back seems to reset the offset as well. Not sure if this is helpful as it's not possible to reproduce every time. Hi guys, will this be fixed sometime soon? I have a large set of icons to design and I'd like to know if I should start in Designer or Photoshop. Unfortunately it's a breaking issue in my workflow. Hi everyone, any updates on this? This bug/issue is already assigned but wasn't fixed yet, sorry. Hello AD team, any news on this issue? The only news would potentially be posted under the beta section when we release a new beta. You may be better off keeping up with the beta releases and test fixes for yourself as sometimes development don't include a full list of fixes in their announcements. If a bug has been assigned to a developer as MEB has said, it is generally classed as a higher priority and will hopefully be resolved in due course. I'm sorry this one hasn't been addressed yet. Alright, so as of beta version 1.5.3.63 (Windows) the issue persists. The artboard seems to be 0,5px off on the Y axis across all documents, but if you zoom out, disable pixel preview, zoom in again and enable pixel preview it fixes the issue most of the times. Is there a reason why artboards can be placed anywhere instead of snapping to pixels? I was thinking about the grid offset issue and I noticed that after moving them from X 200.3, Y 300.7 to X 200.0, Y 300.0 the pixel grid offset was lessened. Hi guys, it's been almost 6 months, this is a really big issue for a design software. I understand it's a small team and a large number of features to fix and implement, but it's really hard to wait for something that feels like a foundation feature. If Designer can't handle snapping to pixels and drawing grids correctly at any zoom level, then it's not ready for professional use. I'll check back in another 6 months. Good luck! - The bug only affects documents with artboards. Before adding the first artboard, the pixel view is perfect and shows no artifacts across all zoom levels. - The artboard dimension and position seems to have no effect. Artboards with round integer values for position and dimensions are affected as well. Not entirely true. 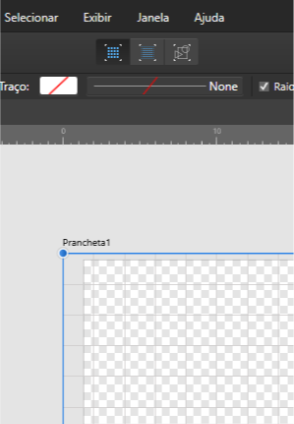 If you copy the contents of an artboard into a new document that doesn't use artboards the offset is not fixed, the objects keep sliding off of the document boundaries just the same. Even if you round their X and Y values to integers they won't snap to the documents grid properly. Also, it's now been over 6 months since I reported this issue, I was forced into moving back to Photoshop and recreate many UI projects there, and Affinity hasn't said a thing about a fix other than "it's been logged". Disappointing. The Mac has had quite a few Artboard fixes recently and I am hoping this is one of them. I just need to wait for the internal build to see if it has been fixed. I'll let you know as soon as I do. Hopefully I might get it at some point this week. @ogardiner BTW, please look for the Bugs on Mac forum as this issue is currently logged for Windows (this post is on the Bugs on Windows forum). If a bug affects both platforms, the Mac version generally gets it first and Windows would follow soon after. Bugs that affect Mac and Windows will always be logged under the Mac and get checked against Windows so both sides will be covered. I'll be celebrating this issue's first birthday in a couple of months, the betas haven't fixed it still. No progress at all? Thanks for your help with this bug. We have now resolved the problem and will make the fix available in the next Windows release (1.6) and can be trialled in the forthcoming beta #86. That's really great news! Thank you! And the Mac version? The grid implementation is a mess.